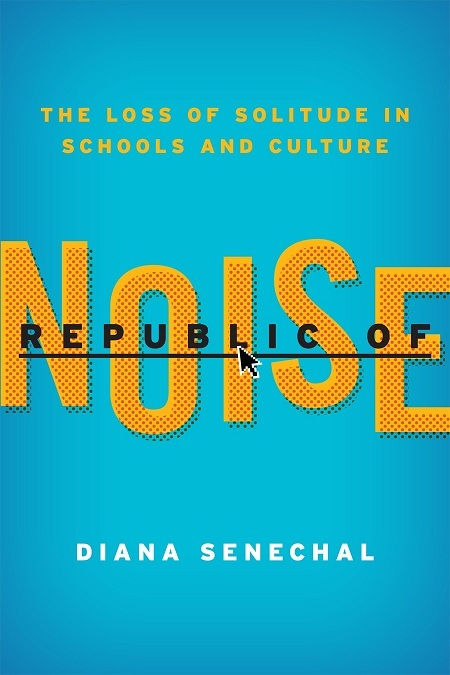 Diana Senechal's book, Republic of Noise: The Loss of Solitude in Schools and Culture, was named an Outstanding Academic Title of 2012 by Choice (American Library Association) and is now available in paperback. Read about it below and order it from Amazon, Barnes & Noble, or IndieBound. You can also find it at a nearby library; see WorldCat for the holdings. “Lest this quest for solitude sound romantic or idealistic, Senechal emphasizes the effort and commitment involved in cultivating an interior life. It requires a shift in what we honor, what we love, what we give time to—and most definitely it requires a risk. A few good works of literature wouldn't hurt either. Through sensing something amiss in our schools and culture and naming it a loss of solitude, Senechal invites us to live more fully, more nobly and more humbly, as a part of the world and apart from it. She invites us to educate ourselves and our children to that careful looking and listening she calls solitude so that it might expand and ignite what is deeply human in us all: wonder, gratitude, compassion, and wisdom. —Stella Schindler, teacher of English at Georgetown Visitation Preparatory School. The full review appears in Humanum, 2015, Issue Two.